About Us | Valley-Lake Boys Home, Inc.
About Valley-Lake Boys Home, Inc. 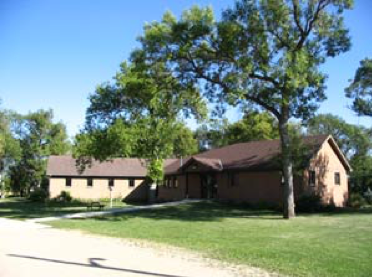 The Valley-Lake Boy’s Home, Inc. is a private non-profit residential treatment facility that was started in 1975. This facility provides 24 hour supervision and programming for boys aged 12 to 18 with behavior problems and/or delinquency issues. Boys sent to this facility learn to control their impulsive, sometimes violent, behaviors. The home is a place where boys learn to respect themselves and others. The Valley-Lake Boy’s Home strives to create an environment that encourages young men to accept responsibility for their actions and demonstrate that they are able to make positive life choices. The facility is governed by a seven-member Board of Directors from the Breckenridge, MN area who volunteer their services. Joanna has been employed at Valley Lake for over 25 years. She has served as a Case Manager, Program Director, and took over as Executive Director in February, 2019. Dave has served Valley Lake as a Case Manager for 5 years. He took over as Program Director in February, 2019. Karla has served as Program Director, and has taken over as Assistant Director in February, 2019.